Listen To ‘The Onion,’ taken from the upcoming re-issue LP Philip Perkins’ “Drive Time,” out on November 12th via Body Double Ltd., a new Captured Tracks imprint operated by Corey Cunningham (Terry Malts) and Matt Kallman (GIRLS). Philip Perkins (b. 1951) studied art and motion graphics with Robert Mullen and David Foster (Univ. of the Pacific and Univ. of Oregon) and was mentored by “Blue” Gene Tyranny in music composition and performance. He played in many rock, country and experimental bands. He played as a member of The Residents performance ensemble from 1979 – 1984, as well as serving as their cinematographer and lighting designer. 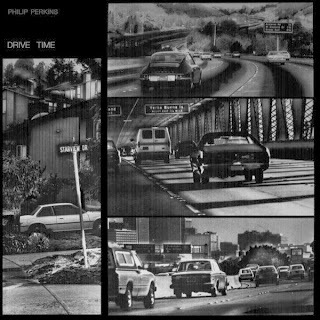 “Drive Time” was composed and originally released in 1985 as a series of pieces composed as an alternative to early morning “drive time” AM radio, and targeted at the same audience: commuters.